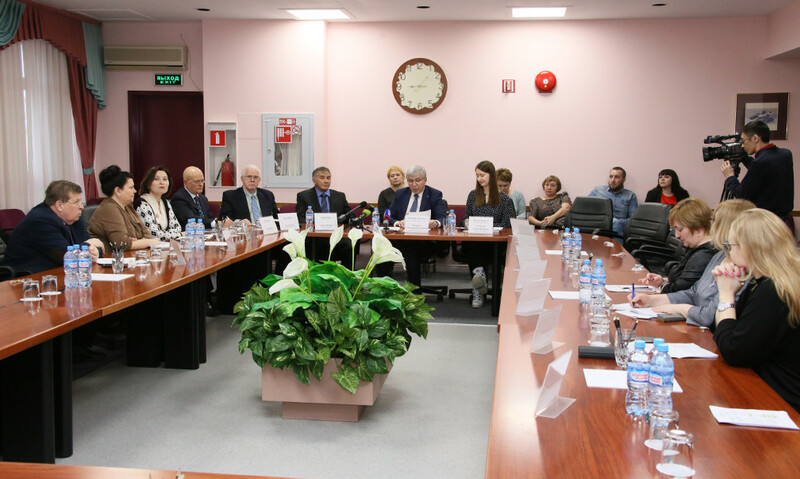 The meeting of the representatives of the Arctic Winter Games International Committee with the deputy governor of Yamal-Nenets Autonomous Okrug, the director of the regional department of external relations Alexander Mazharov was held on the 28th of March in Salekhard. The request of Yamal for conducting of the Arctic Winter Games not earlier than 2026 in Salekhard became the reason. “Your consent to consider our preliminary application and to come to Yamal indicates the high level of trust”, he said. The deputy governor told about development of international activity and major international events in the region. Alexander Mazharov assured that over the years Yamal had gained valuable experience in organizing of major events and high-level visits. The transport gate of Salekhard — the airport and also the sports complex “Yamal Arena” being under construction were presented to the representatives of the Arctic Winter Games International Committee. The deputy head of the region confirmed readiness to organize the competitions in 20 sports. “The main idea of our preliminary concept is to create the most convenient and comfortable conditions for participants of the games with the minimum number of relocations during the sports program and maximum involvement in cultural and educational activities”, he said. It is expected that the permanent partners of the region — such large companies operating in Yamal as Gazprom, NOVATEK and LUKOIL — will provide great support in organizing of the Arctic Winter Games in Yamal-Nenets Autonomous Okrug. There is also a lot of work on attracting of volunteers. Beside representatives of Yamal it is planned to invite volunteers from Tyumen Oblast and Yugra. In addition, consultations with the Ministry of foreign affairs of the Russian Federation on visa issues have already been held, and all the necessary recommendations on organizing of the simplified mode have been received. Within two days, the representatives of the International Committee will see all the objects that are listed in the application of Yamal, in order they would assess their potential. The director of the regional department of external relations hopes that sincere hospitality and enthusiasm of Salekhard and Yamal will not leave them indifferent.